Nextbet, leading Asian brand for online betting, will become the Club’s official regional partner for the Asian countries. A new and important step in the international development of SSC Napoli, through a strategic partnership in a fast-growing market like Asia. 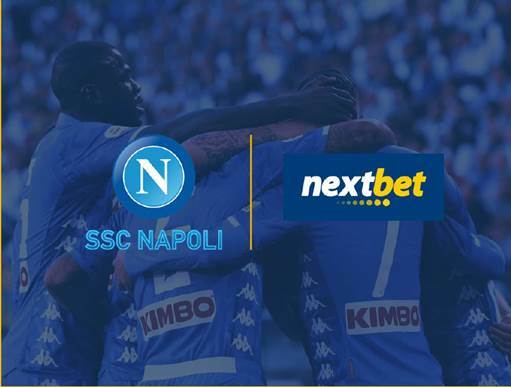 The agreement will see Nextbet promote its brand and services in Asia through SSC Napoli’s image and identity, and it will be developed through multiple strategic tools such as digital assets and offline campaigns dedicated to Asian fans. A partnership that will allow both parties to develop new opportunities in the market, giving Asian football fans the chance to get closer to SSC Napoli and supporting Nextbet continued growth in Asia. SSC Napoli Head of International Business Development Serena Salvione said: “We are proud to welcome Nextbet, our first Regional Partner. This agreement represents to our Club a crucial step in the development of our international commercial strategy”.